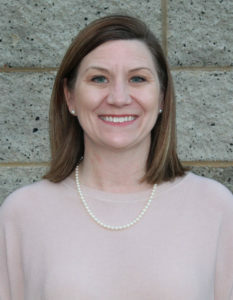 Baergen is general manager of the Ozark Assembly Operations for Bell Flight, working to increase production while maintaining safety and quality standards. 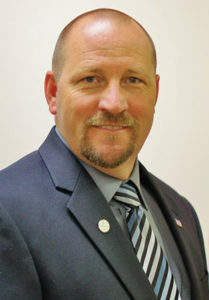 Baergen, who took the position in January 2017, began his career with Bell in 1990 and served in several capacities with the company in other states. In 2014, he was selected as value stream manager, where he led initiatives to decrease direct labor changing while increasing output, as well as exploring process improvement projects to reduce defects and rework. He brought his experience in repair and overhaul to Ozark, as well as process improvement. Baergen holds associate’s and bachelor’s degrees from Embry-Riddle Aeronautical University. 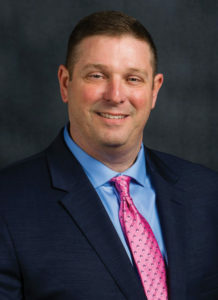 Barnes, a graduate of Auburn University, is a registered professional engineer in the state of Alabama and joined Southeast Gas in 2011 as the director of operations-Central Division. As director, he oversees system operations including new pipeline expansions, installation, maintenance and customer service for Brundidge, Daleville, Enterprise, Fort Rucker, Ozark, Troy and surrounding communities. Barnes serves as a board member for the Wiregrass Economic Development Corp. and the Enterprise Chamber of Commerce, in addition to serving in a support role on behalf of Southeast Gas to the Ozark-Dale County Economic Development Corp. and similar entities in neighboring counties. Barnes began his professional career with CDG Engineers as a project engineer/project manager where he was also a shareholder. Cooper is mayor of Enterprise. 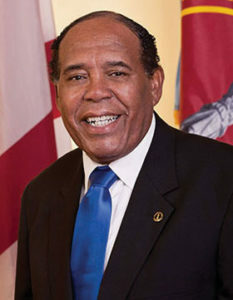 He was the first African American elected to the Enterprise City Council and had served 28 years before assuming mayoral duties after former Mayor Kenneth Boswell took a state appointment in 2017. He holds bachelor’s and master’s degrees from Alabama State University and an AA Education Specialist degree in administration and supervision. He is a retired band director who served at what’s now Coppinville Junior High School and also at Enterprise High School. He directs the Salem-Enterprise Baptist Association Male Chorus. Davis, a Wiregrass native, is the business office supervisor for Alabama Power in Ozark. She attended Enterprise State Community College and earned a bachelor’s degree from Columbia Southern University. She serves on the board of the Ozark-Dale County Economic Development Corp. and as secretary for Ozark Rotary. She also serves on the board of the Boys & Girls Club of Southeast Alabama and the Dale County Youth Leadership Program. Davis is a volunteer for Southeast WOW and served as the founding committee’s logistics chairman for the two-day event open to 6,000 students across 16 counties in Alabama, Georgia and Florida. Davis also is a founding member of the Power of Youth-Wiregrass Leadership Forum, a five-county youth leadership event. She has served more than a decade as producer/director of the HBCE television production team. She is an active member of the Alabama Power Service Organization and serves on the Wiregrass United Way Funds Distribution Committee. Sanders is the plant manager of the Michelin North America tire manufacturing factory in Dothan. A native of Baltimore, Sanders earned an undergraduate engineering degree from the University of Maryland and an MBA from Columbia University in New York. Her work experience includes manufacturing, strategic planning, supply chain management and marketing in the chemical, pulp and paper and rubber industries. Sanders serves as a mentor to young professionals and has been an active member of United Way Women in Science, United Way AALG and Zeta Phi Beta Sorority Inc.
Stayton is serving his first term as mayor of Daleville. He attended Enterprise High School. He moved to Daleville when he was 18 years old and has lived there for the last 22 years. After high school, Stayton went into the construction business and later went to work for the city of Daleville, gaining experience and understanding of local government. Stayton has volunteered with the Daleville Fire and Rescue and was a Daleville Police Department Reserve officer. Stayton also served as a coach for a local tee ball team and as a basketball coach. In addition, Stayton served as a member of the Keep the Faith organization that feeds the homeless. Wentworth is president of Sysco Gulf Coast Inc., a position he has held since January 2018. Before coming to Sysco Gulf Coast, he held several management positions with Sysco Jacksonville Inc., including vice president of sales, district sales manager and regional director. He holds an associate’s degree from the University of New Hampshire and has completed coursework toward a business degree. He is active with the Cub Scouts/Boy Scouts of America, and is a member of the board for the North Florida Hotel & Lodging Association. Woods is CEO of Medical Center Enterprise. Prior to coming to the hospital in May 2017, she served as CEO, COO, vice president of professional services, medical staff coordinator and administrative resident for Flowers Hospital in Dothan. She has a bachelor’s degree from Vanderbilt University and a master’s from the University of Alabama at Birmingham. 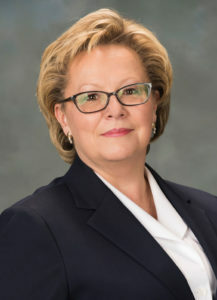 She chairs the Wallace Community College Foundation board and serves on the boards of the Alabama Hospital Association, Blue Cross and Blue Shield of Alabama and the Wiregrass Economic Development Corp. She serves on the Statewide Health Coordinating Council and the Alabama Hospital Services and Reimbursement Panel, both governor-appointed. She also serves on the board of trustees of Houston Academy.